The Grimm Brothers' version was called Little Red-Cap. The oral version originated from the Middle East in the First Century. Roald Dahl's version has Little Red Riding hood wearing a wolf-skin coat in the end! Another version ends with the Huntsman rescuing both Red Riding Hood and grandma from the belly of the beast. The tale of Little Red Riding Hood makes a great family costume, with four characters - our heroine, the wolf, grandma and the huntsman - perfect for any age! Which of these facts did you find most interesting? 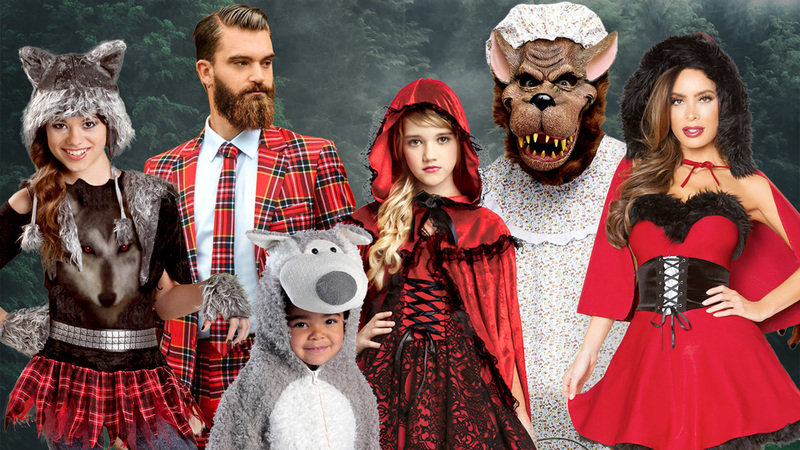 What costumes from Costume SuperCenter would you wear for Halloween or another special event? I did not realize there were so many versions of the story. I love the costumes. I live the red cape version.